Ottawa is a great place to live and invest. It is unlike other major hubs—such as Toronto and Vancouver—in that the city is still a relatively low-rise place, and is quite spread out. Condo developments are fewer than other Canadian cities, but there are still really good options out there. Here are some highlights when considering buying a condo in Ottawa, and below is our more comprehensive look at the city. Best Ottawa neighbourhoods for condos: Preston/Little Italy, Centretown, Westboro, Hintonburg, and Lebrton flats. Major developers: Tamarack, Claridge, Surface Developments, and Trinity. Ottawa is the capital of Canada and the fourth-largest city in the country after Toronto, Montreal and Calgary. Located on the banks of the Ottawa River in southern Ontario, this compact and cleverly planned city is an important political, educational and cultural hub. Ottawa has the highest standard of living in Canada and enjoys the second highest ranking for a Canadian city in the quality of life index behind Toronto. From the National Arts Centre and National Gallery through to beautiful Rideau Canal and Gatineau Park, Ottawa is a cultured and inspiring city with a rich history and bright future. Ottawa contains the mouths of the Rideau Canal and Rideau River, with Lower Town, the oldest part of the city, situated between these water bodies. Bustling Centretown and Downtown Ottawa lie to the west of the canal, with these areas housing many of the city's financial, commercial and political institutions. Modern Ottawa consists of eleven historic townships in all, ten of which are from Carleton County and one of which is from Russell County. Depending on where they live, Ottawa residents can enjoy urban, suburban or rural lifestyles, with 23 wards in total across four distinct areas: Central Ottawa, East End, West End, and South End. Residents of Ottawa enjoy a high standard of living and low unemployment rate, thanks mostly to the Public Service of Canada employing over 110,000 people. The healthcare and tourism industries also contribute to the healthy local economy, as do many of the high-tech companies that are based in and around the city. Sometimes called "Silicon Valley North", Ottawa is home to numerous software, telecommunications and environment technology firms, most of which are located in the western part of the city. The cultural scene in Ottawa is mostly based in the ByWard Market, Parliament Hill and Golden Triangle neighborhoods, with other hip areas existing across Lower Town, Centretown and Downtown. Eateries and boutiques continue to pop up around Wellington Street, Rideau Street and Sussex Drive, as trendy new destinations join established museums, galleries and theatres. Ottawa has always been a city of seasonal activities, including Winterlude, the Ottawa Dragon Boat Festival, and the Ottawa International Jazz Festival just to name a few fantastic annual celebrations. The real estate market in Ottawa has become one to watch in 2018, with 10 percent more homes and 22 percent more condos sold in 2017 compared to 2016. While the Toronto and Vancouver markets often get the headlines, Ottawa should see more momentum in 2018 than many other Canadian cities. The average condo price in Ottawa was just $269,000 in 2017, which creates a great opportunity for young buyers and clever investors to get into the market on the ground floor. 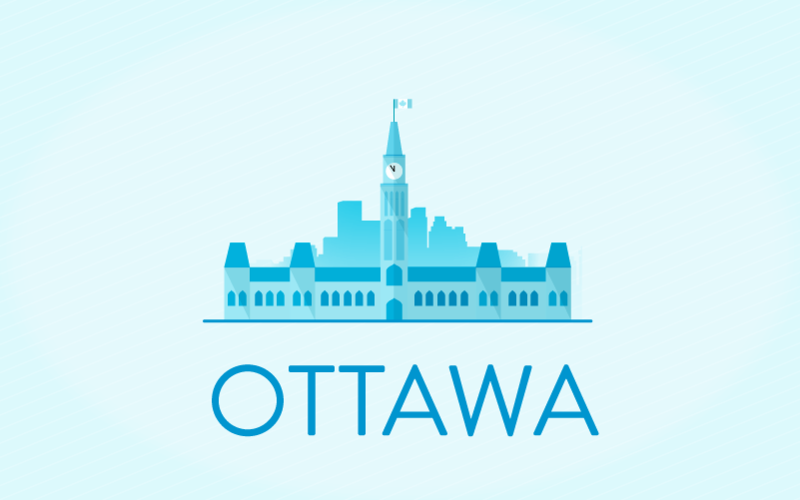 Ottawa truly is a city for everyone, with a wide selection of neighborhoods and price ranges to choose from. Whether you're looking for a vibrant inner-city area or a relaxed family suburb, few real estate markets in Canada offer the diversity and scope that you’ll find across the Ottawa region. Constance Bay is a unique neighborhood that is located just 20 minutes from Kanata, home to many of the city's tech firms. While not quite the cottage area that it once was, Constance Bay still has a cozy, homely feel due to its beautiful waterfront location. The homes in this neighborhood are smaller than those in established waterfront neighborhoods closer to downtown, which makes them more relaxed and affordable. Sandy Hill is a mostly student neighborhood with a growing selection of families and senior citizens. Located close to Ottawa University, this residential neighborhood is hilly, homely and more than a little bit French. Sandy Hill is not just about family homes, however, it also houses Laurier House, the Ottawa outpost of Cordon Bleu, the beautiful Strathcona Park, and a number of international embassies. Carleton Square is another student-friendly neighborhood that has also become a hot spot for Ottawa investors. Because it's so close to Carleton University and the downtown area, landlords can practically guarantee a steady flow of tenants. This vibrant part of town is also near the city's only beach, which makes it a great choice for families and the young at heart. The Glebe offers a unique combination of urban cool and residential calm, making it a great choice for people who want to have their cake and eat it too. This neighborhood is close - but not too close - to the city's downtown and University of Ottawa campuses, with a number of transport links on your doorstep regardless of where you live. The Glebe features the busy main strip of Bank Street, the famous annual Great Glebe Garage Sale, and the Lansdowne Park which manages to combine restaurants and entertainment venues with heritage buildings and green space. If you really want to be close to the action, then Centretown/Golden Triangle is where it's at. This neighborhood manages to be both residential and commercial at the same time, with condos and houses lining the streets alongside shops, office buildings and cafes. The Golden Triangle is bordered by Elgin Street and the Rideau Canal on the edge of Centretown, with this area very close to the festivals that regularly take over Sparks Street and the recreation mecca of the Canal. Kanata is home to many of the tech firms that call Ottawa home, and Kanata Lakes is where many of their employees live. Developed initially as a garden-style community, Kanata Lakes and Marchwood-Lakeside have grown up to become a vibrant residential and recreational area complete with golf clubs, a sailing club, and numerous other sporting associations. This neighborhood is not just about the great outdoors, Kanata Lakes is also home to the most prominent movie theater in the city, Landmark Kanata Theaters. With a vast selection of entertainment venues and attractions, this neighborhood embodies the sophistication and vibrancy of modern Ottawa. ByWard Market is packed full of students, young professionals and urban hipsters, many of who choose to embrace the urban lifestyle by living in nearby Ottawa apartments and condos. ByWard Market is full of life at any time of day or night, with a farmer's market and craft stalls adding color during the day and nightclubs and bars adding spark when the sun goes down. Orleans celebrates the slower side of Ottawa, featuring a substantial francophone population and lots of family-friendly recreational facilities. This neighborhood has recently grown thanks to the construction of new condos and houses, proving that apartment-style living is not just for the inner-city. Orleans also features a large shopping mall, along with multiple skating rinks, community centers and nature trails. Westboro is a sophisticated and upscale part of Ottawa located between Island Park and the Ottawa River. While this neighborhood mostly consists of residential homes, it also includes a great selection of shops, restaurants and boutiques. Westboro is perfect for Ottawa families who want to enjoy a clean and friendly neighborhood that is close to McKellar Park and the Gatineau Hills. This diverse and exciting part of Ottawa incorporates Centretown West with Little Italy and Chinatown. A friendly and robust spirit is evident throughout the area, which prides itself on solid neighborhood values, old-fashioned hometown pride, and some of the best food that Ottawa has to offer. The multicultural community of Centretown West and surrounds keep themselves busy all year with festivals like Italian Week and the Asian Night Markets. Claridge Homes began in 1986 as a small family business. Since its humble beginnings, this forward-thinking company has expanded across Canada and produced countless family homes in great locations. Claridge Homes takes pride in superior design and quality craftsmanship, with its vision defined in a wide range of communities, condos and new homes. Notable Claridge Homes condo projects include Claridge Icon, Tribeca East, Waterstreet, and Claridge Plaza. Claridge Icon is a bold 45-storey residential tower that rises above similar developments in the Ottawa skyline. Designed by one of Canada's most prestigious architectural firms, Hariri Pontarini, this project features organic curves and a beautiful facade. The Richcraft Group of Companies has over 30 years experience designing and building quality homes in Ottawa. Promising feature-rich interiors, personalization, and quality from the inside out, Richcraft has been in control of more than 16,000 residences since its inception. Richcraft takes care of every aspect of building design and construction and has an experienced team of architects, builders and contractors to choose from. Condo developments by Richcraft include Bowery Lofts and Condos, Galleria 2, Pathways, and Bradley Commons just to name a few. Bowery Lofts and Commons offers downtown Ottawa living with familiar Richcraft quality, including a pool, gym, social area, and other rooftop amenities on the 18th floor. DevMcGill builds homes in Montreal, Toronto and Ottawa, with special attention given to the revitalization of traditional neighborhoods and their existing architectural heritage. DevMcGill is dedicated to designing and building human-friendly condos that enhance the life of modern urban residents. DevMcGill has developed a number of exciting condo projects in Montreal, including Noca, Humanti, and Beumont. Arthaus is the company’s first foray into the Ottawa market, with this centrally located building being just moments from the Rideau Centre and ByWard Market. Arthaus promises artfully curated living spaces and quality interiors for the discerning downtown resident. Ashcroft Homes is one of the most prominent new home and condo developers in the city of Ottawa. Originally founded in 1992, Ashcroft has the proven ability to build quality homes and create real communities. As the proud recipient of numerous design awards from the Ottawa-Carleton Home Builders’ Association, Ashcroft takes pride in architectural intelligence, style and flair. Prominent developments by Ashcroft Homes include Re Residences, Q West, 111 West, and The Next at Central Park. Re Residences is the company's latest development, with this luxury project to be completed in 2019. Offering unobstructed views of Parliament Hill and stunning interiors, Re Residences is one of the most exciting developments on the Ottawa condo calendar. Greatwise Developments Company offers a number of forward-thinking condo project in Ottawa and Toronto. This company offers fantastic customer service and social engagement while continuing to be focused on cutting-edge architecture and environmental design. The Greatwise portfolio includes residential high-rise luxury condos, low-rise garden homes, and townhomes. Past Greatwise projects in Ottawa include Vista on the Park, Qualicum Woods, and Qualicum Ridge. Current projects include Qualicum Woods Crossing and Fresh Towns, the latter of which includes a prominent community park feature in Ottawa's sought after West End district. Minto is one of the biggest condo development firms in Canada, with new homes and apartments for rent and sale available in Toronto, Calgary and Ottawa. Minto has been designing and constructing homes in Ottawa for over 60 years, in communities such as Barrhaven, Kanata and Stittsville. The company's landmark condominiums in Westboro and New Edinburgh have received a lot of attention over the past few years due to their amazing design and inspired locations. Prominent Minto projects in Ottawa include Minto Beechwood, Upper West, and Avalon Encore. Minto Beechwood is located in the historic New Edinburgh neighborhood, with this eight-storey boutique project close to the vibrant downtown and ByWard Market areas. With designer decorated model suites and inspiring views in every direction, this is truly one of the best places to live in the city. Mizrahi Developments builds modern communities with integrity, quality standards and vision. Mizrahi Developments is the only builder in Canada with the ISO 9001 certification. Featured projects by Mizrahi include The One, 1451 Wellington, Lytton Park, and 133 Hazelton just to name a few. 1451 Wellington offers a number of residences at Island Park Drive in the popular Westboro neighborhood, with condo owners able to customize their apartment with interior features and up to four bedrooms. Surface offers a range of custom luxury condos for Ottawa residents, promising the highest quality at the lowest prices. Surface Developments offers help with every stage of a condo purchase, from initial financing through to custom design, and after-sales service. Ottawa projects by Surface Developments include Westboro Lofts, Edge, Hampton Park Lofts, and Parkdale Market Lofts. Westboro Lofts promises amazing views of the Ottawa River from common rooftop areas and personal terraces. Offering more value per square foot than any other building like it, this project is open for registration and sure to be popular. Mastercraft and Starwood has designed and constructed homes and condos in Ottawa for over 60 years. Their hotel-inspired designs promise luxury and comfort in central inner-city locations. Prominent Mastercraft and Starwood projects include Soho Italia, Soho Champagne, Soho Parkway, and The Hazelton Private Residences. Soho Champagne is characterized by architectural elegance, spatial efficiency, and an abundance of natural light throughout the building. BRIGIL Construction was established in 1985 by Gilles Desjardins, with over 8,500 homes built since then in some of the city's most inspiring and sought after neighborhoods. BRIGIL has a mission to build communities through innovative construction projects that enhance the quality of life of Ottawa residents. Well known BRIGIL projects include 121 Parkdale, 460 St Laurent, Horizon, Plateau du Parc, and Kanta Lakes among others. 460 St Laurent promises hotel-style luxury at home, with these condos designed to meet the needs of young urban professionals. The Ottawa property market had a mixed year in 2017, with strong price momentum in the west and slower growth recorded in eastern parts of the city. According to the Ottawa Real Estate Board (OREB), the value of an average single-family home increased by 7.2 percent over the year to $403,900, with the average price for a condo in Ottawa increasing by 3.4 percent over the year to $269,000. Strong sales volumes were also recorded throughout the city, which has led to a supply shortfall at the beginning of 2018. There were 17,803 homes sold in Ottawa in 2017, an increase of 10 percent over 2016. The condo market experienced the most sales growth with a 22 percent increase over the year, thanks to a lack of red tape, a tight rental market, and competitive prices in Ottawa compared to other Canadian cities. Almost 10,000 of the residential units sold in 2017 in Ottawa were less than $500,000, with the average price of a condo just over half this value. This has created great opportunities for young people and hungry investors who want to get in before prices start to rise. Property buyers in Ottawa do not face the new foreign-buyers tax like people in Toronto or Vancouver, with the new stress test on home mortgages also likely to have less effect due to increased affordability in the city. Favorable conditions have helped to create a tight housing market, with the strong economy meaning that people aren't moving or downsizing like they are in other cities. Perhaps the most significant challenge to supply levels, however, it the city's urban boundary and lack of new land available for development. According to Ralph Shaw, head of OREB, the inventory of residential properties is the lowest it's been in several decades. If conditions continue for a few more months, this could lead to a sellers' market that is defined by supply shortages and increasing housing prices. Some parts of Ottawa are already moving forward faster than others, including two districts which went up by nearly 30 percent in December compared to the year before: Rockcliffe Park, and New Edinburgh-Lindenlea. According to the Ottawa Real Estate Board, seven of the top 10 districts for price growth were in the west, with the smallest price gains experienced in the east. When condo sales are isolated, however, the situation is a lot more confusing, with the average price for a condo increasing a massive 46 percent over the year to $352,060 in the west while slumping 35 percent to $198,900 in the south over the same period. In the east, condo prices increased 13.2 percent to $294,250, with prices falling 7.9 percent to $332,200 in the downtown core. Much of this complexity is down to differences between individual condo developments, with fantastic opportunities still available across the city of Ottawa. From high rise condo buildings in the inner-city through to new suburban projects, condos are a great option for Ottawa residents who want to enhance their lifestyle and investors who want to capitalize on this growing market segment. New opportunities are always accompanied by new challenges. However, with condo purchases making different demands on investors than conventional housing. Let's take a look at all of the issues you need to tackle before laying down your hard earned money while looking for a condo for sale. Having an accurate working budget is critical before you start hunting for a condo. While your situation might change during the process, having a financial starting point gives you the ability to filter out and zoom in on property choices. Before you start researching neighborhoods and properties and condos for sale, you need to research lenders and loans. Banks will look at your income, debt levels and credit history before they offer mortgage pre-qualification in writing, with most offers coming with a guaranteed interest rate and valid for 90 days. While getting a mortgage in Ottawa can be easier than other Canadian cities due to lower prices, it's important to have all of your ducks in a row before approaching real estate companies and development firms. Condo purchases can be very different than single family homes, with specialized real estate agents able to help you get the best deal. Not only are there different contingencies in Ottawa condominium sale contracts, you may also have to sign a community contract that deals with association rules and regulations. Some real estate agents in Ottawa specialize in new condo developments, with others dealing more with renovation condos or private resales. While it's possible to purchase new condos directly from project developers, having access to an experienced real estate agent can broaden your horizons. What kind of condo are you looking for? Where do you want to live? How much are you willing to pay in maintenance fees? Before you start hunting for an Ottawa condo, it's important to analyze your needs and expectations with one eye on your budget. Online research and groundwork are both needed to help you find the perfect location and building for your needs. While some people want to live close to the action in an inner-city apartment, others are more than happy to put up with a long commute in order to get some peace and quiet at the end of the day. Either way, you need to create a wish list of proffered locations based on your individual preferences, access to amenities (such as indoor-parking garages, custom floor plans, walk-in closets, floor to ceiling windows,etc. ), access to transportation hubs, and access to work and school locations. Before buying a condo, it's important to understand the differences between apartment types: new condos, resale condos, and renovation condos. New condos are brand new condo buildings, with this type of development popular in Ottawa and other cities with robust luxury condo markets. Resale condos are purchased directly from past owners in existing communities. Renovation condos are repurposed buildings, which can be old factories, retail outlets, or historic buildings that have been gutted from the inside out. Once you have your heart set on a particular building or project, it's important to research the reputation and experience of the developer. Ottawa condominiums operate under a different legal structure than single dwellings, with a “condominium” actually a form of legal ownership rather than a style of construction. Whether it’s a new development or an existing community, when you purchase a condo, you're also taking ownership of the joint areas and common assets of the community. Ongoing maintenance fees are needed to look after these areas and assets, including elevators, lobbies, roofing, central services, indoor parking, swimming pools, tennis courts, and staff just to name a few. Maintenance fees can differ widely, so it's relevant to budget for them when comparing purchase prices. If you're buying a new condo, it's also important to think about deposit structures and timelines. Property taxes in Ottawa help to pay for numerous city services, including roads and pathways, public transportation and local parks. A portion of property taxes also goes into school funding and environmental conservation. Property taxes are based on the value of the property and the municipal tax rate according to the property's use. The assessed value of the property in question is determined by the Municipal Property Assessment Corporation (MPAC). 2018 Interim Property Tax bills were issued in February, with this initial tax portion based on 50 percent of last year's taxes and due on the third Thursday of March. Remaining Final Property Tax bills will be mailed out on the third Thursday in June. It's important to note that there are several kinds of property tax in Canada, including multi-residential, commercial, and industrial, with new property buyers also needing to pay Land Transfer Tax. The 2018 Ottawa city draft budget proposed a 2 percent increase in property taxes in late 2017, with the average residential landowner in urban Ottawa set to pay $76 more each year and those in rural areas set to pay $62 more. These figures are based on an average property assessment of $404,000, with the average commercial property value of $460,000 responsible for an increase of $163. Council is promising to spend an extra $12 million of raised funds on infrastructure repairs, including road, cycling and sidewalk fixes. $2.3 million will go towards the winter maintenance fund, with social services agencies set to receive an extra $675,000. Maintenance fees are an unavoidable part of condo living, with ongoing fees designed to pay for the common areas and common assets of the community. Generally speaking, the amount of maintenance fees you pay will depend on the square footage of your unit and the facilities that you have access to. It's important to analyze maintenance fees in great detail before buying a condo, with some fee structures covering much more than others. While maintenance fees may feel like paying rent in Ottawa, they are not a source of profit in the same way as rent, however, they can add up to a large percentage of your overall housing costs. Maintenance fees will typically cover things like the operating costs of the building, property maintenance, insurance, staff costs, and a contingency reserve fund. While all fee structures are designed to cover common expenses such as window cleaning, snow shoveling and house cleaning, some maintenance fees will also include utilities such as water and heat. If you want to live in a building with a concierge or pool cleaner, paying for staff wages can increase fees significantly. Higher maintenance fees are often the result of better assets, amenities or services, with fees generally higher in smaller buildings and older buildings due to higher costs. Maintenance fees are calculated by the individual Condo Corporation when it sets its annual operating and maintenance budget. New condo owners are often advised to attend the condo board's annual meeting in order to keep up to date with new charges and potential fee increases. Maintenance fees in Ottawa can be anywhere from $300 to $600 per month depending on the location of the building and the services available. While many new or potential condo owners are shocked by maintenance fees, when analyzed on a long-term basis, they are often cheaper than comparative mortgage, maintenance and utility expenses for single dwellings. If you're interested in Ottawa condos, find a condo buying expert today and upgrade your quality of life in this inspiring and cultured city. A. A condominium is a form of ownership and not a type of building. While people often associate condos with high-rise buildings, they can also be low-rise communities, townhouses, duplexes, or even single detached houses. Q. What does condo ownership include? A. Ownership of a condo includes legal title of an individual unit and a shared interest in the common areas and assets of the condo community. Common elements include things like elevators, parking, the lobby, hallways, swimming pools, and garages. A. There are three main condo types: new condos, resale condos, and conversion condos. New condos are bought directly from the developer, often during the pre-construction phase. Resale condos are purchased in existing buildings from the current owner. Conversion condos include retail stores and historic buildings that have been renovated for residential use. Q. What do maintenance fees include? A. Also known as condo fees, maintenance fees are proportionate charges for common services and the maintenance of common assets. This may include operating costs, management costs, staff costs, insurance, and a contingency reserve fund. Utilities are also included in some fee structures. Q. What is a reserve fund? A. A contingency reserve fund is a special account set up by the condo association in the anticipation of costly or unexpected events, including things like roof replacement, storm damage, and driveway resurfacing. Q. What are the duties of a condo association? A. A condo association or board is responsible for the day-to-day operation of the condo complex and the long-term management of the building. Condo boards also need to ensure that individual owners are adhering to the rules and regulations set down in association contracts. A. According to the Canadian government's Home Buyers' Plan (HBP), potential home owners are allowed to borrow up to $25,000 from their Registered Retirement Savings Plan (RRSP) to use as a housing deposit. Ashcroft is Ottawa’s foremost developer of new homes and condominiums. Their condo’s are designed to fit your every need. Founded in 1992, Ashcroft has wide experience in the design and building of cosmopolitan condominiums in strategic urban settings like the Byward Market, the Glebe or Westboro. With them you can count on quality, unique designs, and finishes that match your every need. Richcraft prides itself in delivering exceptionally built condos for all your needs. The company draws on over 35 years of experience building homes and condos to give you the home of your dreams. With award winning designs and a sharp focus on details and a clear commitment to customer satisfaction, getting a Richcraft condo is worth the investment. Surface Developments builds spaces that inspire while catering to the needs of the condo owner in Ottawa. Their team is with you every step of the way, helping you find that perfect condo that fits your needs and a place you can call home. Quality and value are paramount when it comes to purchasing your condo, and Surface Developments with their years of expertise deliver on both.